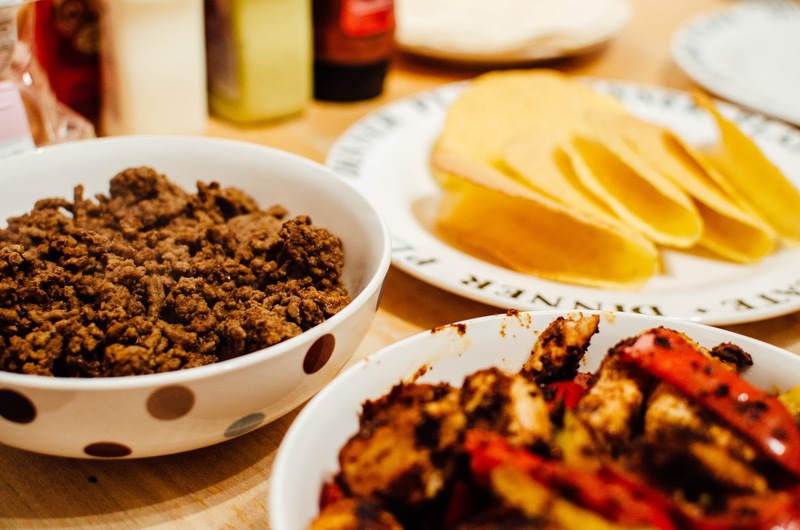 If you're new to my blog, you may or may not know that Mexican food is my favourite. From fajitas to burritos and nachos; I can't get enough! 1st November celebrates the beginning of Day of the Dead; the Mexican yearly holiday which despite the name actually celebrates life. Expect parties, festivals and non-stop food and drink! To celebrate my favourite food (ever! 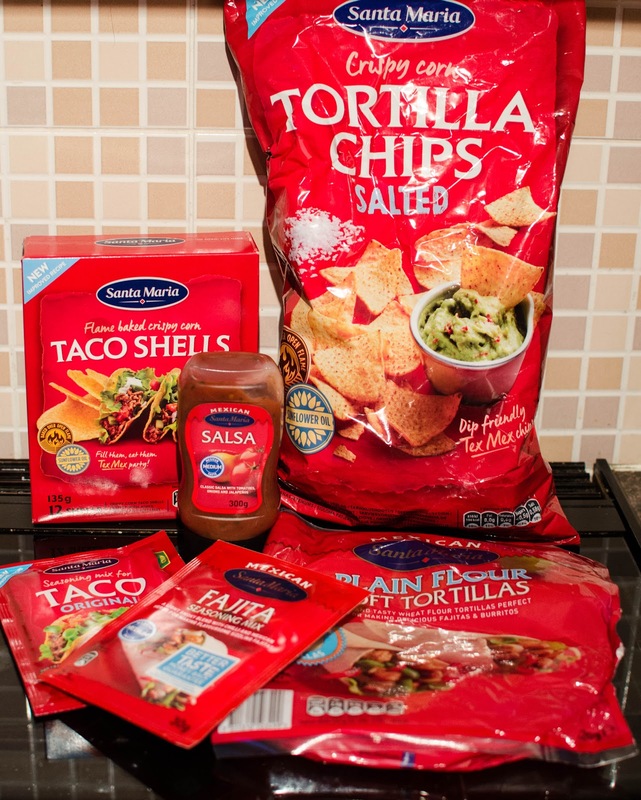 ), Santa Maria kindly sent me over a big box of everything I could ever need for a Mexican feast. I couldn't wait to get started and luckily, it was just in time for Day of The Dead next week! I decided to cook both tacos and fajitas as I was cooking for everyone anyway. 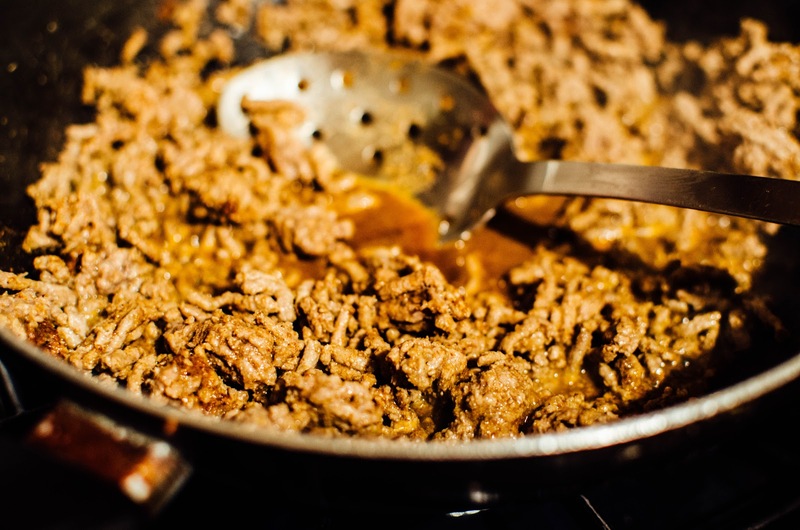 I added 100ml of water and the Santa Maria Taco Seasoning Mix to a pack of minced meat after it was cooked. 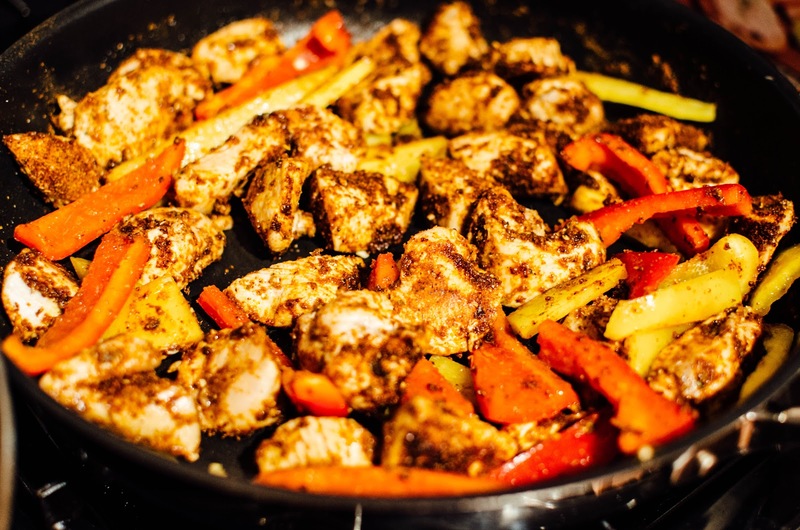 I did the same to the chicken after cooking it; using the Santa Maria Fajita Seasoning Mix. These packets of seasoning mixes are great as you don't have to worry about buying extra sauces to mix the meat in. The powder is packed full of different spices, making it super easy to achieve authentic tasting mexican dishes at home. 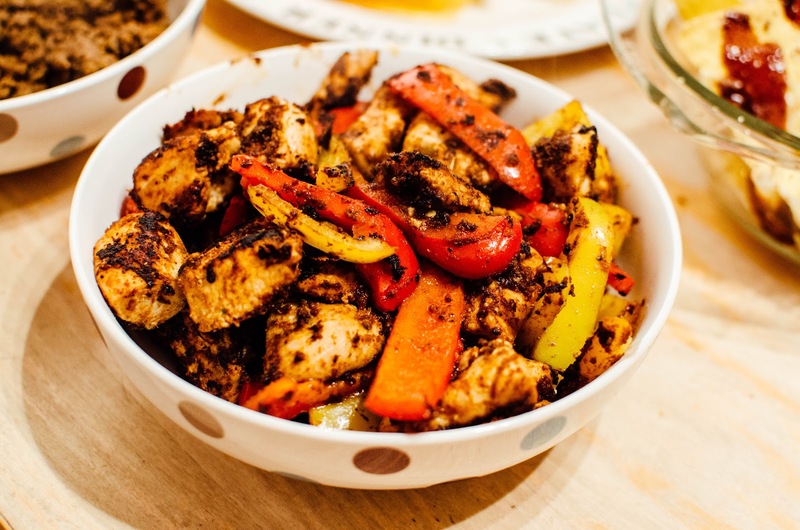 I also chopped up some peppers and added these into the chicken mix for the fajitas. 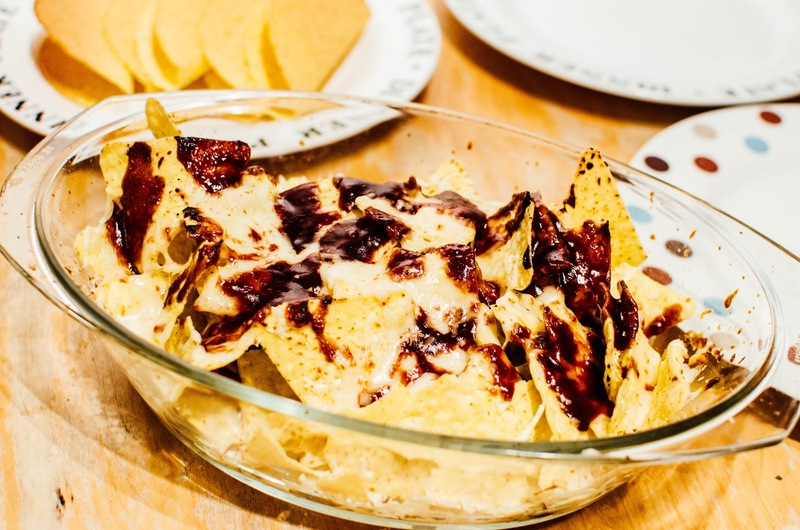 Whilst both meats were sizzling away, I made some nachos using the Santa Maria Crispy Corn Tortilla Chips. These come in a HUGE bag so is definitely a family sized portion! They also taste like true Mexican tortilla chips, rather than the cheap tasting supermarket own ones we usually get. I added BBQ sauce and cheddar cheese after learning a tip from someone recently. These bad boys taste DIVINE once they have been in the oven for 15-20 minutes. Next it was time to dish it up and let everyone tuck in. 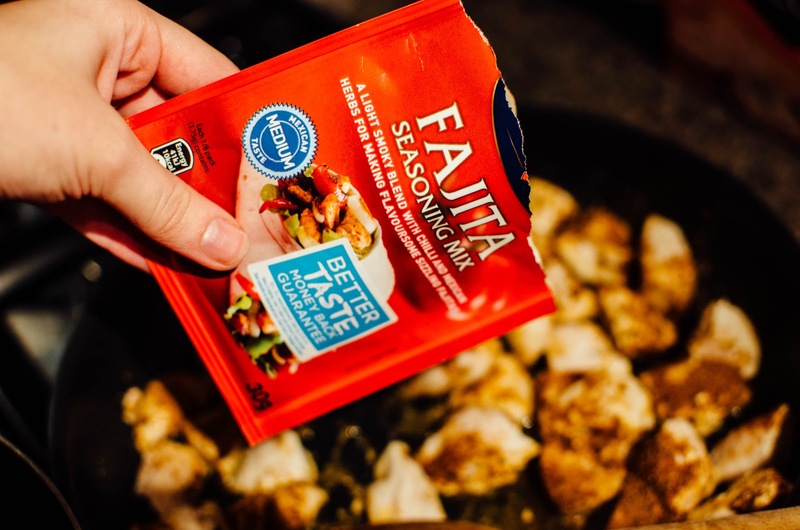 I have to say I am definitely a fajita girl at heart and absolutely loved the spicy taste of the chicken due to the seasoning in the mix. The peppers really added something too. 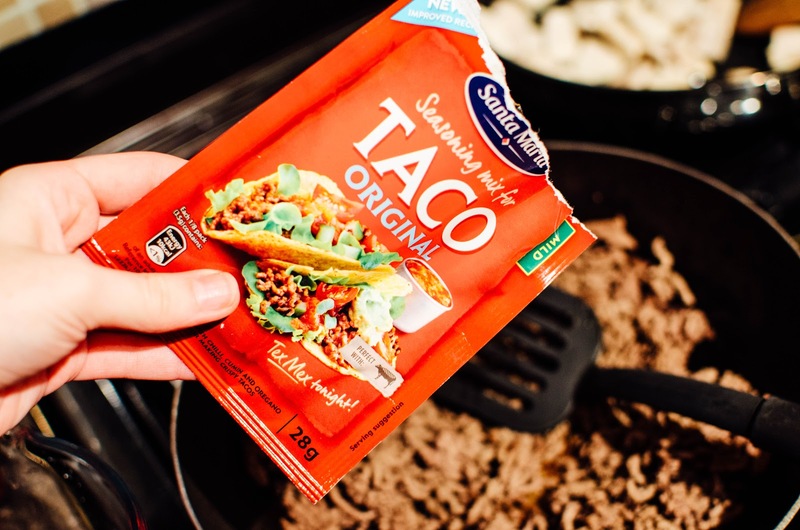 We scooped the mince into the the Santa Maria Taco Shells which were really yummy but very delicate so do use a light hand! 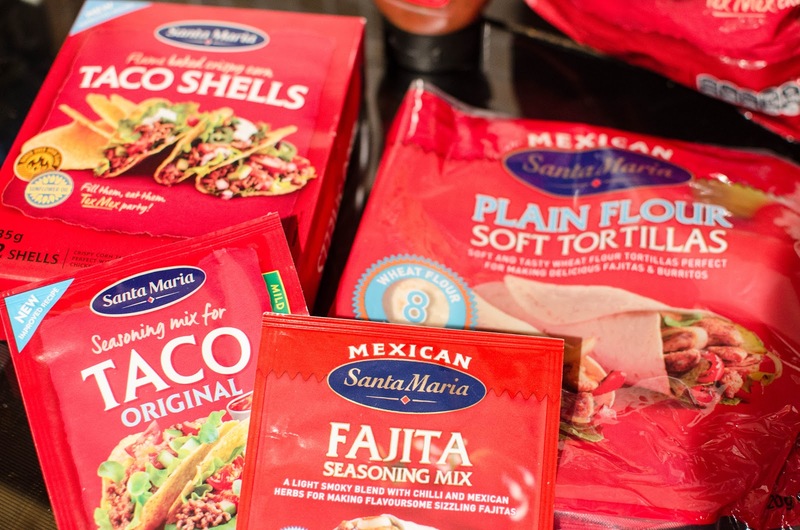 The Tortilla Wraps also by Santa Maria were really soft and easy to wrap the chicken and peppers in; meaning no mess or floppy fajitas! 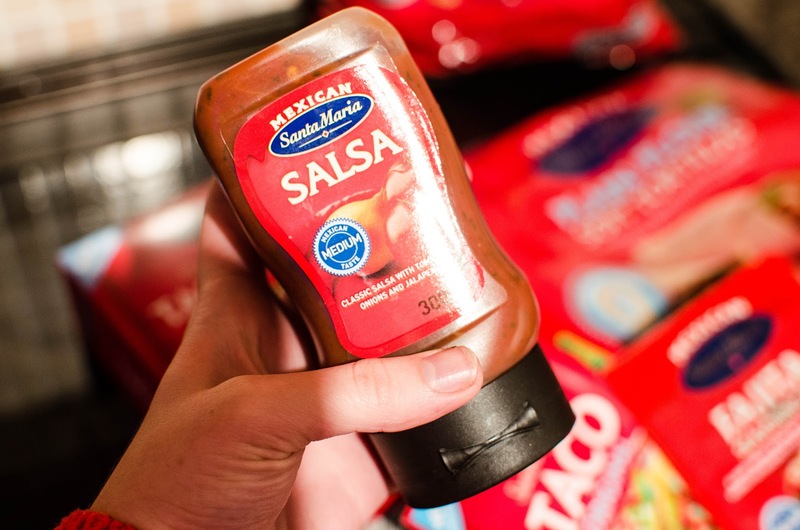 Use sauces such as the Santa Maria Salsa for that extra kick! There we have it! 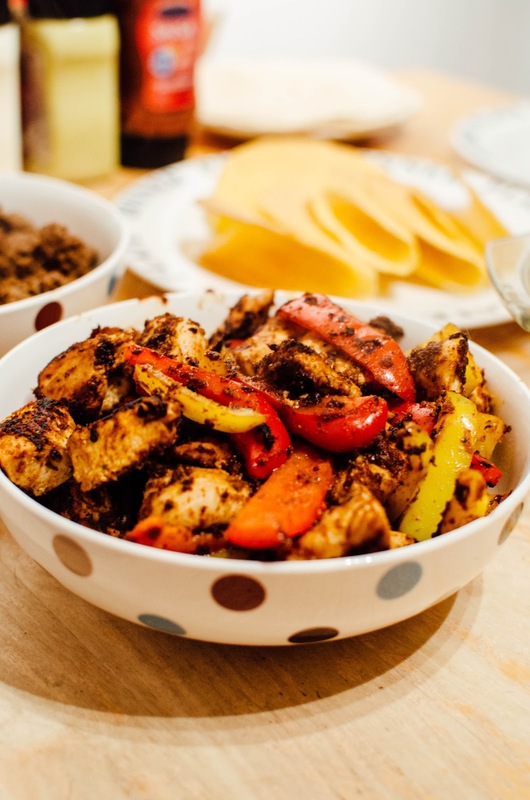 A huge Mexican feast perfect for the family or a cosy night in with your lover. Add a bottle of wine and you're set to have a Mex-tastic time! Also just in time for Day of the Dead. Mexican food Tuesday, anyone? Disclaimer: Products sent to me for the purpose of this post, but all words, opinions and photographs are my own. Mexican food is literally the best! My favourite type of food too, this all looks amazing!